Glenn Irwin feels that he no pressure on his shoulders as he heads into the new Bennetts British Superbike season after moving to the Bournemouth Kawasaki outfit for 2019. The Northern Irishman has just enjoyed his most successful season in the blue-ribband superbike class, finishing third and just 41 points behind second placed Jake Dixon. But after moving to the Championship winning team, the Bournemouth Kawasaki squad run by Pete Extance, he admits he has no pressure on his shoulders, but he’s expected to win races, something he expressed to BikeSocial should be a given now in his career. “I don’t think there is any pressure on me,” Irwin said as he spoke to BikeSocial. “When I joined PBM I joined the Championship winning team and obviously I was a rookie so there was zero pressure. “I think going to Kawasaki you’re expected to win races, you’re paid to win races and I expect to win races, so it’s different. “If you’re a rider who maybe can’t achieve that then there would be pressure and it would be unrealistic, but what they ask of me is realistic, as does every team factory team in the paddock that employs their number one rider. “That is something that I thrive on, I thrive being in an environment where I’m the man they want to win, and that is a big boost for me. 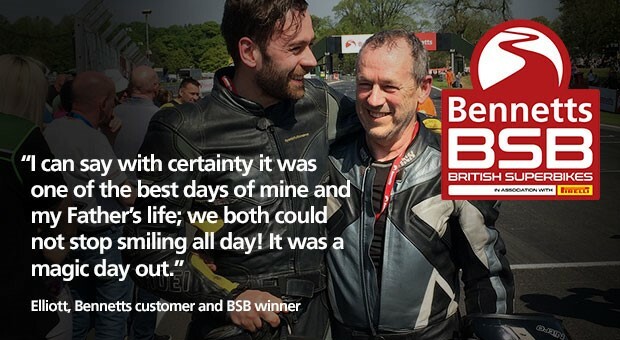 Irwin has spent two years in the Bennetts British Superbike Championship in what is seen as the number one team to ride for, the Paul Bird-run Be Wiser Ducati team. It was formally agreed that he would stay with the Cumbrian based outfit for a third year at Thruxton, and the chance to develop a new bike, the V4. However, after a change of dynamic within the team and a string of results deemed not strong enough, he was left without a ride as the team opted to change their rider line up for the new season. Irwin returns the manufacturer that saw him taste much success in 2015 in the British Supersport Championship, Kawasaki, and he heads to the Championship winning team for 2019 with the Japanese factory. But, he did admit that the PBM squad are one of the teams to ride for in BSB, and he admitted it was difficult to say goodbye. “It is the team to ride for, but in this Championship, Stuart does a great job and there are a number of team you can win with in BSB. “It’s difficult to leave anywhere you’ve been for three years, I’ve had three years of work with PBM and three years of making friendships with the guys who work here. “For sure it’s never easy to say goodbye, it’s never that easy, but we’ve left on good terms which is probably what makes it not so difficult, and I’d like to think I can come back here as a British, or maybe even better Champion of some sort. Although as one chapter ends another begins, and before he opens his Christmas presents, Irwin is out on his 2019 steed in Spain at Guadix to test ahead of the much-anticipated Bennetts British Superbike season. With the factory backing that the Bournemouth Kawasaki squad possess it did seem likely that Irwin, and recently confirmed new team-mate Ben Currie would travel to Jerez to join the official World Superbike test, however those plans have now changed. “It did look like we’d be joining the World Superbike guys, but with the NEC show I think we might not make the Jerez test, but it looks like we’ll get out sooner than that. This becomes all the more important for Irwin because, for one he needs to get his head around riding a four-cylinder Superbike for the first time, and two, because of talk of a testing ban being imposed by BSB officials for the new season. This potentially means that after 1st January no BSB team can test on their own away the official tests that are being pencilled in for early next year. However, nothing is stopping teams from testing before the start of 2019. “There is talk of a testing ban coming in next year,” Irwin said. “So, if I didn’t get out before the 31st December then March would be the first time. “I’ve spent three years on a twin, and I haven’t ridden any other Superbike so I’m under no illusions that there is a lot of hard work to go in, and that is something I will put in at home aswell. 2019 is setting itself up nicely, with Scott Redding joining Josh Brookes at Be Wiser Ducati and Irwin switching across to take Leon Haslam’s seat at Bournemouth Kawasaki. But after Irwin finished 2018 in a strong vein of form, collecting his first win of the season, he feels he’ll head into the new year stronger than ever before, and brimming with confidence after collecting third in the series. “I’m really happy, I would have taken third at the start of the season for sure. More so because I got the victory I needed, I was beginning to feel like Andy (Irwin) last year, always finishing second. “It was nice to get that win, and that gave us a nice cushion going into the final day over Josh, so I’m really happy with it. “I’m looking forward to next season now, the win nearly means as much as third in the Championship, because that has unlocked that next level of confidence that is required to win races week in, week out. Glenn Irwin clinched his first Bennetts British Superbike victory of the season with a dominant ride in race one at the final round.